Brian Panowich burst onto the crime fiction scene in 2015, winning awards and accolades for his smoldering debut, Bull Mountain. 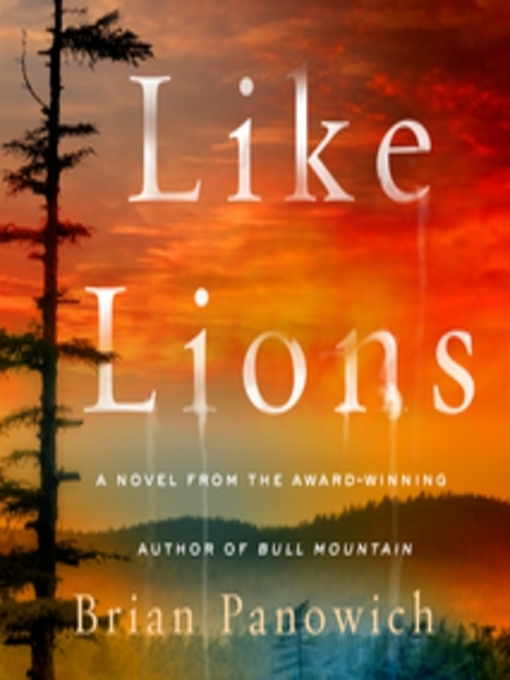 Now with Like Lions, he cements his place as one of the outstanding new voices in crime fiction. Clayton Burroughs is a small-town Georgia sheriff, a new father, and, improbably, the heir apparent of Bull Mountain's most notorious criminal family. As he tries to juggle fatherhood, his job and his recovery from being shot in the confrontation that killed his two criminally-inclined brothers last year, he's doing all he can just to survive. Yet after years of carefully toeing the line between his life in law enforcement and his family, he finally has to make a choice. When a rival organization makes a first foray into Burroughs territory, leaving a trail of bodies and a whiff of fear in its wake, Clayton is pulled back into the life he so desperately wants to leave behind. Revenge is a powerful force, and the vacuum left by his brothers' deaths has left them all vulnerable. With his wife and child in danger, and the way of life in Bull Mountain under siege for everyone, Clayton will need to find a way to bury the bloody legacy of his past once and for all.